Airbus has confirmed that its new A350 aircraft can be set-up in a “high-efficiency” configuration of ten-across in economy. The manufacturer admitted that, although it would prefer airlines to go with a nine-across seating configuration, guaranteeing passengers a seat width of 18 inches, one airline has already ordered the ten-across variant. Airbus last year launched a campaign showcasing research that passengers increasingly seek to research seat comfort prior to travelling (see news, November 18). Business Traveller has previously reported that the A350 would likely be configured ten-across by some carriers (see forum, October 29). It would seem that this is the manufacturer’s attempt to persuade airlines that they should go for the nine-across configuration rather than ten-across. 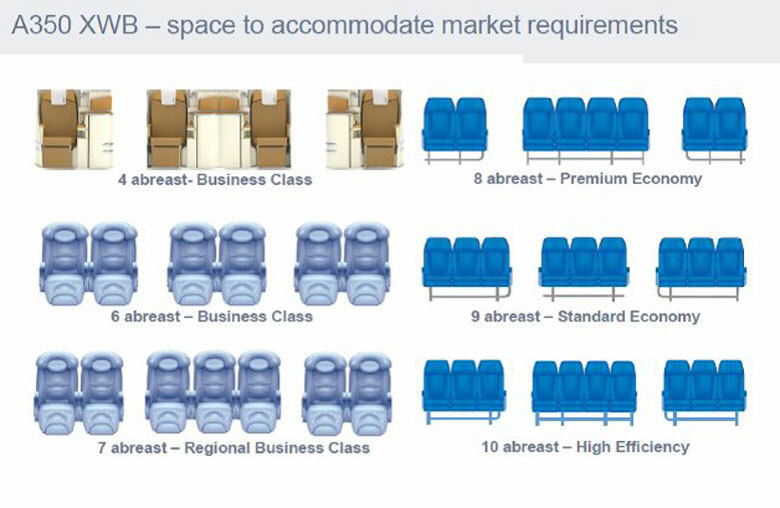 It presents Airbus with a challenge similar to that faced by Boeing, which has seen some of the customer benefits of the new cabin eroded by most carriers opting for nine-across seating instead of the eight-across seating (see opinion, December 11). Airbus has a total of 812 orders for the A350 aircraft in its various configurations — A350-800, A350-900 and A350-1000 — and admits that one customer has already ordered the “high-efficiency” configuration in economy of ten-across. 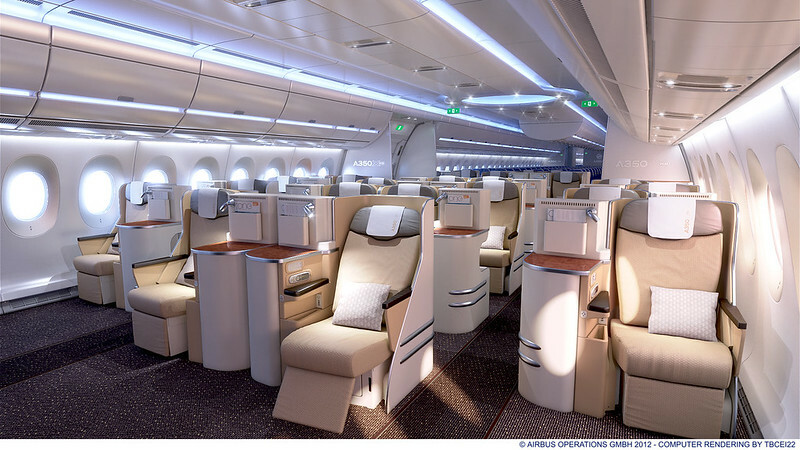 The A350-800 will carry 276 passengers, the A350-900 315 passengers and the A350-1000 369 passengers. 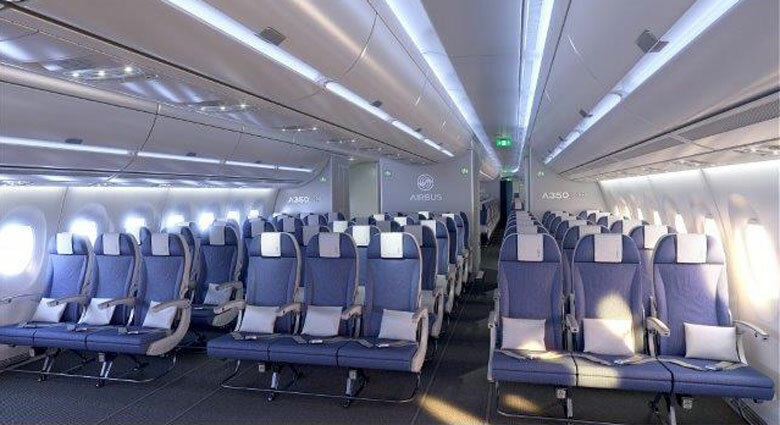 The news came as Airbus today unveiled details of both its Customer Definition Centre and of the onboard product catalogue available to airline customers. The new centre allows airline customers to choose from a range of customisation options for the new aircraft, including the type of seating on board, and its configuration.